GO Transit is an operating division of Metrolinx. GO Transit is Canada’s first, and the Province of Ontario’s only, interregional public transportation service for the GTHA. On May 14, 2009, GO Transit officially merged with Metrolinx. The merger maximizes the two organizations’ strategy and planning expertise and implementation and operations know-how to build rapid transit projects faster and improve customer service. More information on GO Transit expansion projects, including the Georgetown South expansion, West Toronto Diamond and GO Transit Environmental Assessments and studies. Union Station, Canada’s busiest transportation hub, is being transformed. When complete, it will have triple the interior space, a new PATH connection, and a second subway platform to provide better passenger circulation and room for further ridership growth, as well as a new glass train shed. Metrolinx was asked to build, own and operate the Union Pearson Express (UP Express) in July 2010. June 6, 2015 marked the opening of the long-awaited UP Express – on time and on budget. UP Express is North America’s first dedicated express rail train, providing reliable, predictable service between Union Station and Toronto Pearson in just 25 minutes, with trains departing every 15 minutes, 19 ½ hours a day. Travelling along GO’s Kitchener line it also makes stops at Bloor and Weston Stations. It is one more option to move travellers and tourists between two of the busiest transportation hubs in Canada. As part of a flexible fare structure, UP Express offers PRESTO users a 30% discount to travel on UP Express plus other special fares for distance travelled, for seniors, families, students and children. UP Express is a key part of Metrolinx’s regional transportation plan for the GTHA, and a concrete demonstration of the progress we are making to relieve gridlock and get the region moving. In fact, it’s just one aspect of $22 billion worth of transportation investments that Metrolinx and the Province of Ontario already have underway to create a convenient, integrated and faster transit network. Learn more about Union Pearson Express or visit upexpress.com. In May 2010, GO Transit began rolling out the new PRESTO fare card. PRESTO allows commuters to travel between multiple transit systems in the GTHA using a single card eliminating the need for exact change, tickets or transfers to get on a bus, GO Train or subway. Today, PRESTO is available for fare payment on 10 transit systems across the GTHA, and OC Transpo in Ottawa. For more information, visit PRESTO, or the GO Transit PRESTO information page. The six-station underground subway extension from Downsview Station to Vaughan Metropolitan Centre replaces the shuttle bus connection from Downsview Station to York University that carries a daily average of 20,200 riders. It will be the first subway line to cross a municipal boundary in the region and will support significant new development. This project will be in service in late 2017. 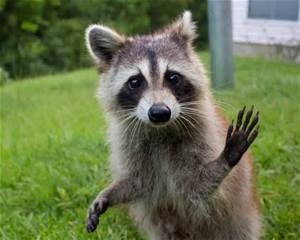 Learn more at ttc.ca. The Government of Ontario is moving forward on its commitment to deliver the largest rapid transit expansion in the history of Toronto. Rapid transit – running above and below ground and connecting Toronto with comfortable, convenient, reliable and fast service – will keep our economy strong, ease congestion, as well as provide an easy connection to subways, buses and GO Transit. The Toronto rapid transit projects are part of Metrolinx's Regional Transportation Plan, a 25-year, $50 billion plan that will transform regional transportation across the Greater Toronto and Hamilton Area. A signature project under the Moving Ontario Forward plan, the Hurontario LRT is funded with a $1.4B commitment from the Province of Ontario. Led by Metrolinx, the Hurontario LRT will bring 20 kilometres of rapid transit to Mississauga and Brampton. The service will move more people, faster through these corridors than the existing bus service. The line will include 22 stops, and provide a crucial link between many of the region’s existing transit lines, including GO Transit’s Milton and Lakeshore West rail lines, Mississauga MiWay, Brampton Züm, and the Mississauga Transitway BRT. More information about the Hurontario LRT. Looking for information about Light Rail Transit technology? Check out our LRT infographic. 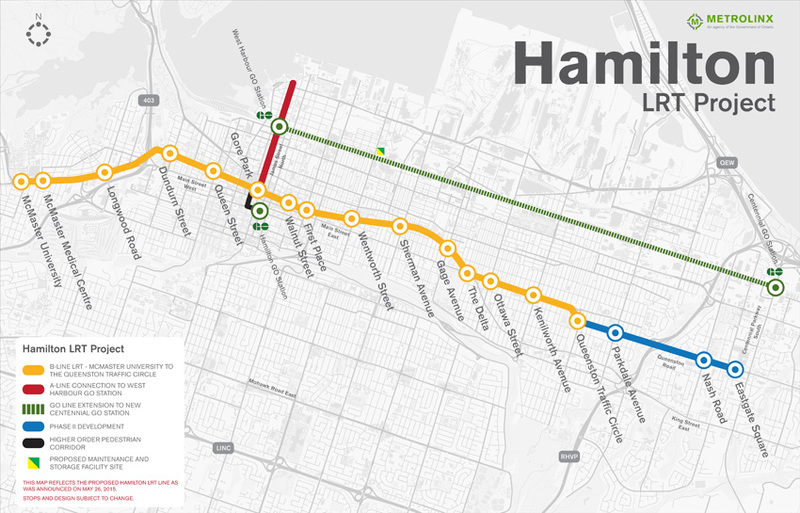 View the Hamilton Light Rail Transit (LRT) route map. In partnership with The Regional Municipality of York, Metrolinx is improving rapid transit through the construction of dedicated lanes in the centre of the road – rapidways – that will allow rapid transit buses to move out of congested traffic. The more than 34 kilometres of planned routes will provide more reliable and more frequent service, connections with GO Transit, regional transit and future extensions of the subway system. Construction is underway, with nearly nine kilometres already in service. Segments open as they are completed; the first opened in 2013. The full project is expected to be complete by 2020. In partnership with the City of Mississauga, GO Transit is building new, exclusive bus lanes on roads in Mississauga along Hwy. 403. The Transitway project will be a high-efficiency transit corridor running east-west across Mississauga. The Transitway will support all-station stop and extensive express bus service for thousands of riders per day, making it faster and easier for you to travel to, from and through Mississauga and the GTHA. In August 2010, construction began on the 18-kilometre east-west busway across Mississauga between Winston Churchill Boulevard and Renforth Drive. A total of 12 stations will be built along the route, with one existing station being incorporated into the busway.